An extract from S/Ldr Miroslav Liškutín DFC, AFC’s autobiography ‘Stormy Skies – Reminiscences of an Aviator’ recalling his experiences following the Communist putsch in Czechoslovakia in February 1948. During the late Autumn of 1947 I became somehow alarmed with the persistent news-items about the infiltration of extreme left-wingers into the Police, perhaps also into the Army and particularly, into the Czechoslovak Social Democrat Party. This was the prelude to the internal take-over of the ‘Soc-Dem’ party organisation by Fierlinger and his team of Communist infiltrators. When it did happen … I was shaken out of my complacency. Their eventual declaration that the Social Democrats are amalgamating with the Czechoslovak Communist Party seemed to be completely unbelievable. Everybody could see that this take-over of the party administrative organs was done arbitrarily, without agreement or consultation with members and, it certainly was not legal … but the opponents were in disarray, not able to do anything about it. It was a fait accompli, which certainly could not be described as ‘democratic’ and, for which nobody knew the answer. The whole Social Democratic movement was paralysed into inactivity. As the result, the policy of ‘Entry-ism’ was confirmed as one of the most powerful weapons of the totalitarians. In this ‘Palace revolution’ the Communists have taken away the political representation from some 20% of the electorate, without the Parliament or the Courts being able to intervene! In this we have seen the first manifestation of the Soviet intentions in Czechoslovakia. The increasing signs of political intimidation were felt everywhere and some people started recognising this new reality. Threatening letters and parcel-bombs were delivered to prominent Democratic Ministers, including the non-political Jan Masaryk. Nobody died but, the threat had to be taken seriously. The implications could be ignored only at our peril. At the same time the national discussions about the proposed participation in the Marshal Aid program seemed to be firmly in favour … with only the Communist Party and the Soviet Union objecting. Unfortunately, very soon we realised that the Czechoslovak Government was not free in deciding our national Policies. It was made abundantly clear that … nothing can be done if the Soviets forbid it! That was the time when many people started talking about leaving the country, before it is too late. A different aspect of this situation looked to me more puzzling: many moderate or conservative-inclined people started embracing the Communist faith. This was seen not only among the general population but also among our Air Force officers. I was told that it must be understood that it is opportunism as a safeguard and, that it is the only real safeguard. Surprisingly, some of these unlikely new communists have acquired very speedily a confidence of the Communist Party. This extraordinary contradiction in seeing some dye-hard-true-blue conservative Air Force officers becoming active in the ‘leading Party’ … seemed to be accepted without a question everywhere. The nation seemed to be prepared to accept the totalitarian danger in preference to the possibility of offending our Great Ally. I could detect in the air a curious amalgam of fears: ‘France and Britain have rejected us in 1938, the Americans have handed over our country to Stalin in 1945 … so what else do you want to know?’	I have noted also what had happened in the other Central and Eastern European countries and, how do people behave under this kind of a threat. But even so, I could not stomach such perversions and, made my views clearly known. I remember an incident at the Kbely Air Base, which fitted well into this dismal picture. An American Air Force Harvard trainer flown by two young officers … became lost in the prevailing poor visibility and, they landed at our airbase. The thick haze	made all flying that day nearly impossible so, I was not really surprised that the Americans were lost. There was no doubt that these two young pilots would have been pleased to find an airfield instead of finishing with a forced landing in a field.This assessment would have been absolutely clear to any unbiased aviator. Czechoslovakia was slowly becoming less normal in many ways and, the behaviour of some people reflected the strangeness of the underlying trends. In this context one can see, how a group of Air Force officers at the Kbely airbase came to the air-traffic control tower to welcome the visitors; but, there was no welcoming at all. In fact the Yanks were subjected to a stream of unexpected abuse. As I was approaching … I was dismayed to hear an officer, ex-air gunner from 311 Squadron RAF, shouting at the Americans that they are spies. This lunatic outpouring sounded so unnatural, something comparable to the old Nazi style. By the time I reached the group it looked to me that the Yanks are worried. Considering the scene … my disappointment was intense. There was a group of former Royal Air Force officers, who came to greet the visiting crew, but now stood silent, allowing the disgraceful behaviour to go unchecked. They knew that here was obviously a case of a lost crew in bad weather but, it looked to me that they feared … that any words spoken in defense of the Americans may harm their own career. It was just unbelievable! My own mind was made-up immediately and I intervened. I stepped between the idiotic air gunner/security officer and the Americans … with clear words for him to push-off, get lost! As my own rank was above that of the security man, he had no choice and, retreated from his scene of glory. Throughout this incident, none of the officers present managed to say one word; they remained completely silent. Most likely overcome by fear; bloody cowards! I led the Harvard to Prague-International airport on the other side of the city and, returned to Kbely. The group of our officers still stood near the air-traffic control … but now in an animated discussion. Their behaviour seemed to me to be completely strange; incomprehensible. Alas, a sign of times! There were warnings and signs to see, but I wanted to believe that the nation is mature and, in favour of democracy. What I did not know was the depth of moral damage caused by years of occupation, the resentment against Munich, the real effect of propaganda from Moscow and, the desperate urge to be friendly with the Soviet Union … at any price! The all-pervading slogan of those days was: “Trust Russia!” And, many did. became the new reality without a delay. Barely the revolutionary fever had subsided and the howling mob cleared out of Prague streets … that was when General Hanuš of the High Command descended in person onto the Administrative School in Praha-Kbely. The impact of this extraordinary intervention had left me in a state of disbelief and, shock. General Hanuš came to address us without a notice or explanation. His speech consisted of a sequence of mad ravings against the ‘counter-revolutionaries’ and, it was a sound of shouting of a demented person. It reminded me of Hitler’s performance at his best! Hanuš hesitated for a moment and then, red in face, continued with his raving. According to him, we were traitors who should be shot. He then repeated that shooting people like us is the only treatment we can expect and, with the immediate effect, he placed us under some vague kind of arrest; this in fact amounted only to being confined to our billets. Hanuš then departed with a menacing statement that the verdict will be given later. A gloomy prospect seemed to lay ahead and whichever way I looked at it, I could not understand. Why were we treated like criminals? ‘What is it all about? But, there were no explanations available. It was only later when Karlik Sláma reminded me that during the revolutionary period people were talking freely about what may be actually happening at the demonstration in St. Wenceslas Square and, what should be our attitude to it. He then reminded me about a discussion over a dinner a couple of days earlier … when all of us ‘rebels’ happened to be sitting together; when we criticised the violence and lawlessness, which was organised by the Communist Party. We were in agreement in saying that the president, Dr. Beneš, should call in the Army to restore order. Only one of that group was not named by the general as a ‘Traitor’ and, that was indeed significant. The ‘loyal’ man was Josef Novotný, ex-RAF fighter pilot who recently joined the Communist Party. Obviously, he reported our conversation and our attitude to the putsch directly to the Party Cell in our Air Force headquarters. Since the Party was now completely in control of everything, they felt free to do whatever they were instructed to do by the Central Committee. Well, now we knew, but the remaining and somehow intriguing puzzle was the statement, that a verdict will be given later. After much chewing it over I decided not to get very much agitated, because it may have been their way of causing anxiety; to be put in a defensive frame of mind, which I had no intention of doing. Nothing happened for a few days and then suddenly, the course was officially disbanded and we were ordered to return to our units. It seemed that our house-arrest or the confinement to barracks was forgotten and, the arrangements to get us shot may have been postponed till further notice. I returned home to Brno in a distinctly uneasy mood. My thoughts dwelled on the historical evolution of my homeland. Barely ten years after Munich, another national tragedy was unrolling in front of our eyes. The atmosphere in Brno was subdued and, there was a feeling of near-despair over the fate of our nation. It would seem that the trials and tribulations which Providence had in store for the Czechoslovak nation were not to end just yet. I recall that during this grave period … the Red Army stood on our borders, ready to intervene with force. This factor above any other, would have persuaded the Czechoslovak Government that they will have to resign and hand over everything to Gottwald, the Red chief. No doubt, the ailing president Dr. Beneš had considered this violation as more acceptable than the alternative: a fratricidal civil war, in which the Soviet Union would support the vocal and violent minority … while the Western Allies could only express their support by pious words. Naturally, Czechoslovakia belonged to the Soviets, because President Roosevelt decreed so! I had the impression that the whole neighbourhood in Brno shared the anxieties and, dismay. Although there were some people who appeared to be enthusiastic about the new state of affairs, my considered opinion indicated that the Communist putsch had shaken us all. The subsequent death of Jan Masaryk, the Foreign Minister, only served to confirm our worst fears. After that, even the local rank-and-file Party members started hesitating. In Czechoslovakia since the end of the war … it was a common knowledge that one third of the nation was flirting with a totalitarian faith. These people believed, or wanted to believe, that the nation should join the Soviet Union politically, that we need the ideology of the Third International that their cause is sacred, that violence must be used against opponents and, who does not go with them … is an enemy. It was in this spirit that they dealt with the unwilling Social Democrats and defeated them through a well planned infiltration. As soon as Fierlinger consolidated his grip on the Soc-Dem administrative channels, the Communist party started claiming a ‘democratic majority’ , even though most of the Social Democrats in Parliament refused to vote as Communists. With the takeover finalised, the opposition within the Soc-Dem party was soon eliminated. And, the same fate awaited the other political parties. The Trade Unions have seen to it that all opposition was paralysed. From then on, the Soviet Embassy in Prague was completely in charge; they ruled through the Communist Party of Czechoslovakia and, there was nobody who could do anything about it. Not even the dying president Beneš. When I returned back to duty at the Brno Air Base, I found that my colleagues seemed to be rather subdued and very cautious in conversation. I could not even tell which of my old friends remained loyal to the ideals of our liberal democratic Republic; it seemed difficult to accept that there may be increasing numbers of those who went over to the communists. I found it quite intolerable to accept that even the supporters of militant leftish views would stoop to treason and, support the Soviets against our national interests. It was however clear to see that a new situation was being created with unknown, fathomless implications. The outlook for me was grim. I had to consider quite seriously the possibility of finding myself in jail on some trumped-up charges … because of being against the revolution … because of remaining loyal to the liberal Democratic Republic. It is of course true that I was against the illegal and seditious developments, but this may have been only a side-issue. The real reason may have been elsewhere. There was a sudden outburst of hysterical propaganda against the ex-RAF officers and particularly against those married to English/British women. It was not made clear why should the surviving combatants from the Western Front be now vilified and persecuted? Although difficult to grasp at first, it would appear that the twisted mind of militant Communists must have concluded that the surviving legionaries are enemies. 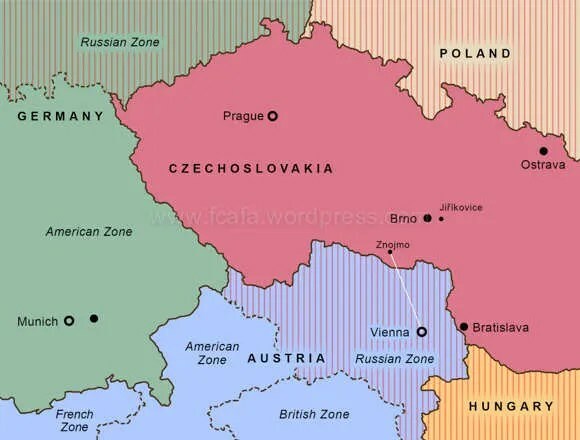 The ‘Western Aviators’ could become the centre of opposition to the newly created dictatorship in Czechoslovakia. This is why the Party had decided that the former ‘war-heroes’ are to be eliminated.’	That was why the new social-fascist regime in our homeland was not prepared to take any chances … with people like me. As previously arranged, Daphne and the children were going to Ramsgate on 1st April 1948. The medical reasons behind this journey made it possible to obtain the recently introduced ‘Exit Visa’ although, even with this permit, this planned journey was not meant to be easy. I took my family to Prague by train, on their way to the International Airport. This train journey produced a new shock to me … when I learned that we were being followed by secret service agents! Most likely I would not have noticed but, a railway inspector on the train came to warn me. He spoke quietly and in a few words told me that he heard the agents talking at Brno, before one of them boarded the train. As I travelled in uniform, it was not difficult for the inspector to identify me as the target of this curious operation. He also gave me a brief description of my ‘tail’ so that I was able to see what is the political special agent up-to. The whole thing seemed incredible; why on earth should I be under surveillance? Travelling in uniform with war-service ribbons made the job for my ‘tail’ quite easy. In such circumstances the game of cat-and-mouse was clearly one sided but I had no intention to change the plans to evade him. The whole idea still looked too fantastic and, ridiculous. It was puzzling why is this great effort expended on supervising me on a well declared and approved journey? Perhaps it was time for me to learn to accept the new reality; to accept the fact that in the post-February Czechoslovakia everything became warped and, nothing made sense anymore. Immediately after my return to my office at the Brno Air Base … I was informed that I am dismissed. 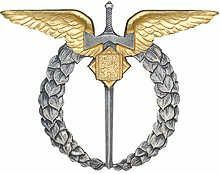 I have been removed from service in the Czechoslovak Air Force because of my unsuitability for commission in the new People’s Democratic Army. With this dismissal came an instruction that I was to find a job in the approved sectors as soon as possible. The Service paid me two-months salary in lieu of any claim for compensation. This sounded quite unbelievable and, it felt like, a bad dream. In spite of everything what happened, I still hoped to return to flying and my career in military aviation. The final straw however, was my last visit to the Headquarters of the Third Air Division at Brno-Slatina airfield. The purpose was to collect my belongings from my former office and, I certainly did not expect anything like a big welcome; but I hoped for a few words with the remaining colleagues. The Sergeant at the guardroom had shown the usual polite courtesy as if I were still in the Service but, added quietly: “I hope you will not be too long, Sir; please go quickly.”	Acknowledging without really understanding, I walked towards my former office. Before reaching the entrance to the office-block, the meaning of the warning became clear. From his office window … Lieutenant Colonel Machálek, ex-RAF bomber pilot, yelled at me to leave the military area immediately! Further more, he went on shouting at the guards to remove me to the gates. At the double! I felt speechless with this hostile treatment; somehow it was not expected. Managing just to reply: “Well, well, comrade, take it easy, I am not staying.” Then I retreated to the guardhouse and waited for an NCO to bring me the personal belongings from my former office. While waiting at the guardroom I realised that the men were embarrassed with Machálek’s behaviour and, their sympathies were obviously on my side. But somehow, after this scene I knew that I am out. No mistake about my reality any more. As I was walking out of the gates, all the NCO’s and guards came out of the guardroom, to give me a farewell salute. I went away as if in a dream, wondering what kind of madness had affected some people around me? It looked so un-natural, unhealthy, unreal. 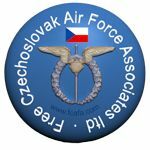 The effect of being thrown out of the Czechoslovak Air Force and, the notice of possible imprisonment without a charge or a trial	felt like a call for defiance. The instructions that I must take up employment in a narrowly defined field of activity started hitting me later. At first I disregarded these limitations and tried, if it can be done, to get a job in Civil Aviation or in the Aviation Industry. Alas, everywhere I went I found new people in charge. Most of these new chiefs even refused to speak to me. Where the old managers still remained (Avia,Zlín), they frankly told me that they have a directive which prohibits the employment of ex-RAF or ‘Western Orientated’ types completely and, without exception. The thought of finding myself in a Red concentration camp was not attractive at all; it made me fear that this may lead to the permanent loss of freedom and in fact, to the loss of my life. These conclusions sounded dramatic, dreadful and of course, completely unacceptable. That was the time when I decided that any kind of risk may have to be taken to get away. Very quickly I abandoned all possible plans for flying out … as completely impracticable; it would not be fair to involve other people in my departure. The various ideas of joining a group for escape sounded absolutely lunatic, even though some friends tried to suggest it to me. In fact I rejected such opinions, advice or recommendations as a sure way to disaster. After a long and careful evaluation of all known facts I concluded that the only possibility which remains logically feasible … must be a lone crossing of the border into the Russian Zone of Occupation in Austria and, on foot. There was only one former colleague with whom I spoke and shared these conclusions and, to whom I owe thanks in the final act. While already preparing my exit, I had to think about the secret service agents, who followed me around Brno. Their surveillance was 24 hours a day. In this aspect I could run up against a problem. However, I knew that when I obtained an official clearance to visit a prospective employer … my ‘tail’ remained at the Brno railway station and, I seemed to have been allowed to go alone; that is , as long as I kept to the strict reporting procedures. This slackening was never clarified, but it appeared to be the latest improvement. The local Communist party youth were involved in reporting my movements; this I knew well and, they represented real danger. These youngsters were passionately dedicated to the Party. They also viewed me as an enemy and, a criminal. Any plan must therefore be preceded by a creation of complete regularity in movements around Brno and, to build an element of confidence at the Security HQ about my officially approved clearances for travel. It seemed quite obvious that they were letting me out of their sight only with some form of assurance or, they were waiting for me to do something for which an arrest warrant could be issued. These were factors to be weighed very carefully. As it turned out, my compulsory reporting to the Air Force security remained on friendly basis and, the officer in charge appeared to be sympathetic to my problems. He even reminded me that the time is running out. I never really knew if this was a tip-off or a slip-up on his part, but his words fitted well into the overall picture. Friends from the Flying Club tried to help too, but nobody really knew what can be done. Most of this advice was fairly naive and, uninformed. Bonék Halík and his sister (a personal secretary in the Communist Party regional headquarters), kept offering suggestions and advice on how to face the situation. She even offered to arrange a back-dated Party membership to 1945, which I felt could not work out anyway. Perhaps it was unfortunate that I remained unsure about their Party allegiance to take up any of their varied offers. Only much later, when they both arrived in exile, I was able to recognise that their offers of help were sincere. MUDr. Sylva Vítková and her brother Dr. Miloš Vítek gave me some very valuable bits of information on which to base my departure plans.Also, there were some particularly important suggestions from Miss Marie Kopečová, the secretary in the Aero-club, which I found really useful. Eventually an old friend who worked in the Party Special Police Headquarters came to see me and spelled out my position clearly, as seen from the inside of the Party HQ. He concluded his tale of woe with a warning: there are only four days for me to mend my ways and, after this time runs out … I am in for it. The arrests of ‘Western Aviators’ are starting and I am scheduled to be taken into the custody the following Tuesday. Immediately after this warning I decided to set into motion some false tracks which Marie suggested. I called on the supervisor of Air Force Security who was dealing with my affairs and told him that nobody wanted my services. Perhaps I should apply for a job in Black Africa, Timbuktu, South Pole or Australia? To my surprise he replied that this is exactly what he would advise me to do! Also, he rolled off the essential actions which I must take. I asked if this application should go through him or, directly to Ministry of Defence or Interior … and, he gave me a fully comprehensive explanation. I could not help thinking that he may have been anticipating this course of action. With great interest I took note of all details, the required addresses and, that it had to be in quadruplicate. Thanking him for this helpful guidance, I hurried to the Flying Club to get everything drafted and typed out as necessary. The very same day, everything neatly typed, I sent the applications by registered mail … just as my former colleague had suggested. Because of feeling increasingly under pressure from different directions, this new ‘legal’ approach offered me more time to act and, in any case, it can do no harm. I believed that my friend had given me true information but, with the Party Police units already arresting some of the dismissed officers … I could not be sure if I really do have four days to play with. I recalled my impressions of seeing Major Kasal after the Party Police have roughed him up and, certainly did not look forward to a similar fate. At night I slept with my Čz 6.35 pistol under the pillow and prepared myself for a sudden attack from the political police. It was said that they usually come in the early hours and, it is essential to be prepared; to know what to expect and, what to do. This was quite a realistic evaluation and the main question centred on a detail: Should I try to shoot my way out or, do I put a bullet through my head without waiting for them to beat me to death? A combination of these options seemed logical and possible, but I had only 20 rounds of ammunition. The plan seemed fairly clear and although not finally decided … I was ready. Anyway, the main period of danger was due to start in some three days time, which gave me more time to think. The following morning I went to see my parents in Jiříkovice, having informed my supervisor. This was to be a farewell even though it would not be said in words. I do like to have things tidy and, it seemed to be the right move anyway. I thanked him and confirmed that I have already heard, using an old expression about sparrows on the roof; but I was grateful to him. This unexpected information from an entirely different source helped me to corroborate the previous warning. Apart from wondering how was this possible that these two completely different sources knew so exactly the planned program of the intended arrests … I realised that indeed there is no time to lose. From then on I had to assume that unless I do change the situation, they will arrest me probably in the early hours of next Tuesday morning. By then, obviously, I must be gone! My parents looked subdued and sad, as if they guessed that I am on my way out. I tried to sound self-confident but, sidestepping the direct question concerning my plans. They seemed relieved to see me so care-free and so full of self-assurance. My attitude that I can look after myself… come hell or high water … may have created the right impression on them. Not stopping any longer than necessary, I took the next bus back to Brno and, without wasting any more time I finalised the departure plans. Also, I fixed the ‘zero’ hour, on which all my timing will depend. My next task involved the surveillance organisation. There had to be one more false trail. I spoke to the Security supervisor telling him that I have just heard about two possible agricultural jobs; one in Znojmo and the other in Žilina. Could he please clear me for travel to these two places? He was very obliging and, fixed it immediately. In thanking him I promised to tell him about the outcome when I see him next time. He just wished me good luck on my travels, which sounded to me rather funny, considering what really was on my mind! As it turned out, this ‘red herring’ trail, this stratagem worked even better than I could have hoped. It would seem that the Security Officer had covered up my absence for a number of days after I disappeared, assuring the ‘Red Gestapo’ that I must have been held up somewhere. lay the time they came to my flat … I was already safe in Vienna. The date was 14th June 1948. My planned journey started near the Brno railway station, where I hoped to see some of the remaining Air Force officers, as they are waiting for transport to the Air Base. The main purpose was just making sure that I have been seen on that day. On meeting some of the chaps I followed the plan, telling them that I am on my way to Znojmo and, going on to Žilina afterwards, enquiring about possible jobs. I counted on their discussing my predicament and my hopes of obtaining agricultural job. This should strengthen my immediate position. With the first part of my plan successfully accomplished, I bought a return ticket for a bus to Znojmo. In case I may have been followed to the bus station, the agent would report that I had a return ticket. There were only a few people on this bus and, all of them could be safely eliminated, as being of no danger to me. In Znojmo I called in one of the Co-operative offices, enquiring about the recruiting centre for cucumber harvesting. Then I spent a little more time in a make-believe search for the office, to fill-in the excess time before moving onto the next phase. The essential part of my plan called for the crossing of the border into Austria at 12.00 hours at Midday. That was the time the guards were changed and, all of them have gone for lunch. A friend who worked in Znojmo told me about the guards and their routine … in case I ever wanted to know. This bit of information was now very useful! I crossed the border into the Russian Zone of Austria exactly on time, exactly in the known place where the river Dyje forms the frontier between Czechoslovakia and Austria. The various tips this friend gave me about the local topography, the shallow parts of the river and, about the adjoining Russian Occupational Zone of Austria … were not only extremely useful but, they contributed to my safe crossing of the danger zone. In fact, it all worked to perfection! After reaching the Austrian side, my first task consisted of map reading my way into one of the local villages and, to find the home of a friendly miller. There I was assured of a brief rest before moving on. Completely without difficulties I found my way into the right village and there was no problem in locating Mr Kyánek’s house. I knew that he was a friend of Dr. Miloš Vítek, with whom he spent some time in Maahausen. The offered hospitality was sincere and generous as can be. The following morning Nr.Kyánek briefed me for the journey to Vienna, travelling by train. He also gave me the important information on the usual position of Soviet guards and their check-points… in fact how to get safely our of the Soviet Zone into the neutral First District of the city. Then he gave me a local paper to read, or pretend to read or, behind which I could pretend to be asleep. Finally, his daughter saw me off at the local railway station, as if I were one of their city cousins. Barely an hour later I completed the remaining journey into Vienna. The surprising thing for me was the ease of it. Travelling across the Soviet Zone and into the heart of the Austrian capital was completely uneventful. It was a pleasant feeling to be in Vienna and, the crossing into the First District without a hitch made me feel elated. This more relaxed attitude caused me to make a mistake in counting the streets and, turning at a wrong corner. A few minutes later I realised the mistake but the idea of turning back into the Russian Sector did not appeal to me at all. Even though feeling unsure, I decided that the better option may be to keep going straight ahead. The St. Stephen’s cathedral was bound to be easy to find. After walking the expected distance I re-assured myself that I am in the 1st Bezirk but, there was no sign of the Cathedral. Uncomfortable feeling that I am disorientated or even lost, now dampened my over confident attitude. Eventually I decided to ask for direction … hoping that this will not cause any problems. I stopped a prosperous looking ?? ?denizen and, in my best German asked for direction to the Innen Ministerium. To my surprise, he answered in Czech, saying that my destination is just around the next corner, barely 100 yards away. This made me feel rather foolish on two counts: had I tried a ‘square search’ … I could have found the place and also, that this Viennese had identified me the moment I spoke. To him it was quite obvious who may I be. But his smile and the ‘good luck’ parting words reassured me that there is no danger. A few minutes later I entered the office of Insp. Pepé Pospíšil a senior security officer at the Austrian Home Office. Inspector Pospíšil greeted me warmly and also introduced me to Chief Inspector Marek, the Head of his Section. Both of them vere very kind and helpful. It made me feel that the end of the first stage of my journey to England had turned out to be an unqualified success. Inspector Pospíšil was quick in arranging a temporary accommodation for me and, without wasting any time we set out to visit the RAF camp at the Schönbrunn Castle. It was quite obvious that help will be needed with arrangements for my flight to England and, the Royal Air Force are my old friends. Meeting Squadron Leader Chubb and his staff was both pleasant and impressive. These chaps were really switched-on and knew all about the latest developments in Czechoslovakia. After a brief chat over a cup of tea, squadron leader Chubb took me to various offices around Vienna and helped with the arrangements for my travel documents. My papers would be ready in ten days time, so we arranged to meet on that day. This was alright with me; my accommodation with Pepé Pospíšil was available for as long as may be needed anyway. All movements around the First District of Vienna, just the same like the adjoining British and American Sectors … were regarded as safe. This gave me a good opportunity to have a look at the historical treasures of the City. It certainly was impressive in every way, although the general picture of Vienna of that day could only be described as gray, neglected. The city of music and dance was not at its best in that post-war period. While I was happily exploring the historical sights … the local situation took suddenly a different turn. The day before we were to visit Schönbrunn again, Pepé arrived back from his office early and, with alarming news: “The Russians have kidnapped Chief Inspector Marek!”This was not only a shock but, it made me realise that the local environment was not as safe as I may have thought. Something urgent had to be done; in fact a visit to the Royal Air Force in Schönbrunn was needed without delays. 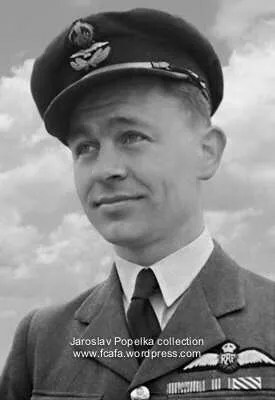 Squadron Leader Chubb already knew about the abduction of Chief Inspector Marek and, he viewed the developments very seriously. In his assessment, my position in Vienna was less secure, in fact much more dangerous than I imagined. The Russian penetration into the Neutral Zone and the American Sector was complete. Their kidnap-squads were operating quite freely. I will just have to stay in Schönbrunn! The evaluation was obviously correct and, I accepted this offer of hospitality with sincere thanks. Pepé Pospíšil it went back to his flat and brought me my brief-case … with all my possessions. In addition to my thanks I gave him my Čz 6.35 with ammunition. I knew that he admired this handy toy and, I did not need it any more. Living in the Schönbrunn Palace barracks, with the Royal Air Force, made me feel at home very quickly. Lovely surroundings and a really pleasant atmosphere in every way … but, I could not help wondering: “How do I get out?” My RAF identification had helped with the required formalities at the British Embassy, but the issue of my ‘Document of Identity’ was still taking time. I am not sure what may have been the cause of this delay, but the documents and airline tickets were eventually ready on 27th July 1948. As I was set to leave Austria, my thoughts were on how am I going to cross the Russian Zone into Schwechat Airport? Squadron Leader Chubb however worked it out for me; he arranged to take me with two of his officers and, Flight Lieutenant Brown lent me his uniform for the trip. At the airport I changed back into my own clothing and the three RAF officers came with me right into the airliner as a precaution against a last minute kidnap attempt. Everything worked out perfectly. I feel truly grateful to the Royal Air Force for looking after me with so much effort and, personal consideration. The re-union with my family in Ramsgate gave me much pleasure and, I felt particularly happy to see them looking so well and in such excellent health. As we set out for a walk from Watchester Avenue to the West Cliff … looking across the sea to Dover … it was beautiful! Blue sea, pale blue skies and warm breeze … were the welcoming signs to a new life. Extract reproduced with the kind permission of S/Ldr Miroslav Liškutín DFC, AFC. This entry was posted in 312 Sqd, Autobiography, Into exile, Victim of Communism. Bookmark the permalink. Fascinating! Many thanks for posting this. Aspects of it remind me of some of the accounts I read at the TerrorHaza in Budapest, where some people spoke of a sense of unreality and disbelieve as they saw the take over, like they could hardly believe their own eyes.